This lesson introduces you to your Newsletter, specifically how to use it to generate traffic and sales. In your Member area, on left menu, select NEWSLETTER. Within that section are a number of sub-menus. What's a Newsletter Subscriber: Newsletter subscribers are email addresses of people who have clicked YES on one of our lead forms, indicating they would like to receive information on various business opportunities. They are often called OPT-IN subscribers. To conform to anti-spam regulations, newsletter subcribers must click to confirm their interest in a confirmation email. SUBSCRIBERS section: To see all of your Newsletter subscribers, click on SUBSCRIBERS within the Newsletter section. There you will see the name of the subscriber (if they provide it), and their email address. EXPORT MEMBER LIST option: Within your SUBSCRIBERS section you will see the option to EXPORT MEMBER LIST. You can do so and export your list to EXCEL or to WORD. Instructions are included in that section. SETTINGS section: Within the settings section you can decide if want your mailings to be Text or HTML, you can review the sign up pages, set confirmation emails and your welcome message, or view the archived messages URL. COPY PASTE SIGN UP CODE: We provide you with the required code that you can copy and paste to your blog or other websites to encourage more sign ups to your Newsletter and grow your subscriber list. LISTS: You can create LISTS of subscribers for specific mailings. On the mini menu with the Newsletter section select LISTS. This is helpful if you want to create lists for specific programs, products, or marketing purposes. The POST NEWSLETTER section is where you send out your Newsletter to your subscribers. Click on this section and you will see how easy it is to post your Newsletter. You can create your own customized newsletter copy or use the templates we provide. 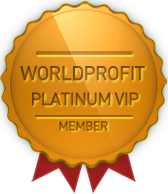 We also make it easy for you to promote the PLR products to your list to generate sales. REMOVALS: To conform to anti-spam regulations, a section must be included in every Newsletter mailing with instructions on how to remove an email address from a mailing. We have included this for you automatically so you do not need to worry about including it. You can use your Newsletter to promote ClickBank products, your own affiliate products, PLR products, or the Money Maker products. Send the pre-made templates, or create your own. If you are promoting your own affiliate products, the vendor has likely provided you with promotion copy so use that to create your own custom newsletters and generate sales. In building a successful online business you want to GROW your list. What this means is that the more optin subscribers you have the better. Every time you wish to promote a product, opportunity or affiliate, you can send it to your list to generate traffic and sales. Your list are people who are potential buyers. They may not be interested in the product or service you sent out today, so send out a different offer tomorrow. They key is consistency. Keep your name, and marketing in front of people for recognition and increased sales. Offers rarely work the first time. Repetition is important. What interests one person may not interest another, so mix-up the promotions, your subject lines and the products you are promoting. It's recommended that you NOT use words in your Subject line that might trigger spam filters or that could be considered deceptive or misleading. Don't get discouraged if you don't get instant sales. You need a large list, build it, and you need repetition of your promotion - plus a little patience. If you are new to online marketing it may be helpful for you to know that just sending your newsletter does not guarantee a sale. Your Newsletter is just one tool in your sales arsenal, use it but don't rely only on this tool. Make use of the other traffic and revenue tools in your member area that are explained in other Bootcamp lessons. Don't get bogged down writing perfect copy to send to your newsletter, take the copy provided to you by the CB and other vendors, copy, paste and send. If you don't get response from that offer, try a different one next time. We have STARRED the CB products that are the newest and hottest sellers so you don't have to guess about what to send out. You will find these under the CLICKBANK STORE, then select CB PROMO KIT, there you will see the TOP Selling products. In other words, don't overthink and complicate the process, copy,paste and send. Repeat. Recommended posting frequency: 3 -4 times per week, be sure to vary your subject line and your offer.